Car Wreckers Mangere is very close to you if you are in Mangere and you want to get rid of a broken or smashed up car that is taking up space, you should call us car wreckers Mangere at 0800 392 392. Did you know we pay up to $15,000 depending on the condition of the car, and we’ll take it away for free? We are a specialist car wreckers Mangere which means we pay the best prices and deliver the best service. That includes fast turnaround times and immediate cash payments. Call now on 0800 392 392 or complete the form on this page. 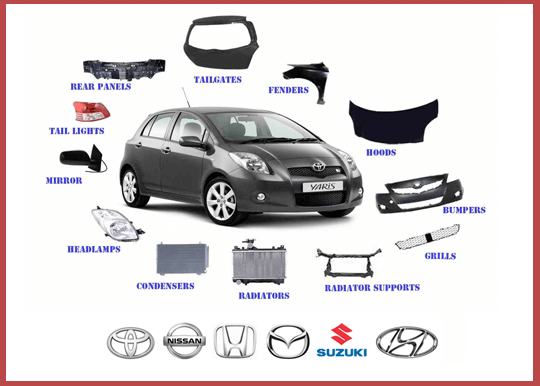 You can also read more below about our Japanese car wreckers Mangere services. Would you like to get instant cash in your hand? Do you have an unwanted vehicle taking up space in your driveway or yard? It doesn’t matter what condition it is in – only that you want to get rid of it. If so, you can achieve both objectives with one simple phone call. At car wreckers Mangere, we are specialist Japanese car wreckers. This means we pay the best prices for any cars, we pay fast, and we’ll remove your vehicle for free. Broken or running, smashed up or missing parts – whatever condition your Japanese car is in, car wreckers Mangere will buy it. We buy all makes and model too, plus we pay the best prices in Mangere. Those prices go right up to $15,000, depending on the model and the condition. Find out more by contacting us today. Your unwanted any-brand truck, van, 4×4, or light commercial vehicle is worth money too. In fact, they are usually worth more than cars simply because they are physically bigger. To find out exactly how much you can get for your Japanese vehicle, including trucks and light commercial vehicles, contact car wreckers Mangere or get a quick quote today. Car wreckers Mangere do everything we can to ensure minimal impact on the environment when we dismantle your unwanted car. Central to this is recycling as much of the car as possible from the main parts down to small nuts and bolts. Anything that we can’t recycle we will dispose of according to regulations to ensure it doesn’t pollute New Zealand. Car wreckers Mangere services are not just available in Mangere as we service the whole wider Auckland area too, buying Japanese cars in whatever condition and removing them for free. Whatever your address or location, contact us to discuss your options for free car removal and to get a quote – your unwanted car might be worth more than you think!